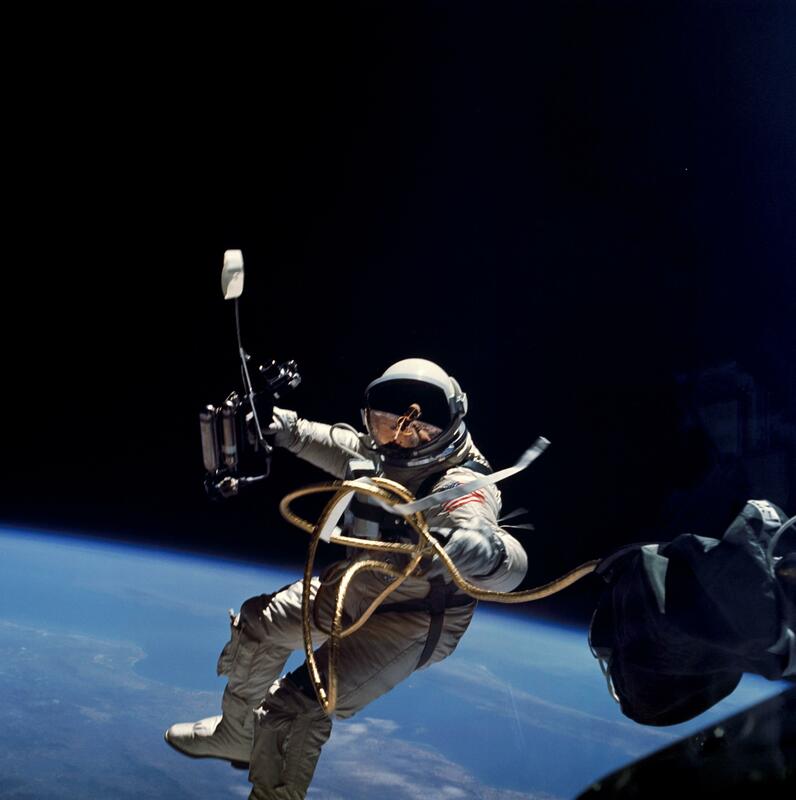 Explanation: Fifty years ago, on June 3, 1965, Edward White stepped out of the orbiting Gemini 4 spacecraft to become the first US astronaut to walk in space. White is captured in this photo taken by mission commander James McDivit from inside the capsule as White's spacewalk began over the Pacific Ocean on Gemini 4's third orbit. Planet Earth, spacecraft, and tether are reflected in White's gold tinted helmet visor. A gas powered manuevering gun is held in his right hand. 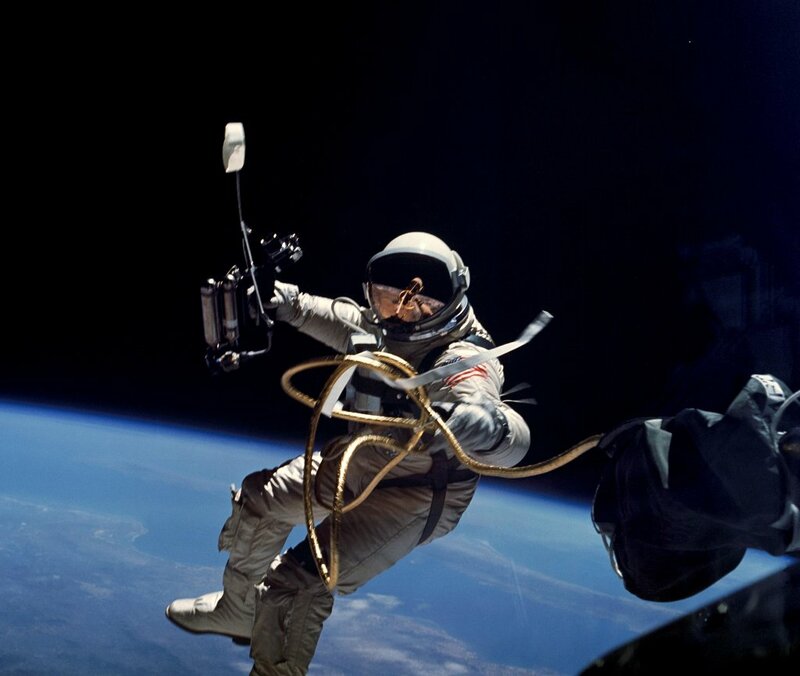 Though the gun ran out of gas after only 3 minutes, he continued to manuever by twisting his body and pulling on the tether for the remainder of the 23 minute long Extra Vehicular Activity. White later described his historic spacewalk as the most comfortable part of the mission, and said the order to end it was the "saddest moment" of his life.